In today's data-driven world, the accuracy, integrity, speed, confidentiality, and availability of data matters a lot to businesses. That's why it's imperative for file transfer systems to be capable of meeting the highest standards in regards to those aforementioned qualities. 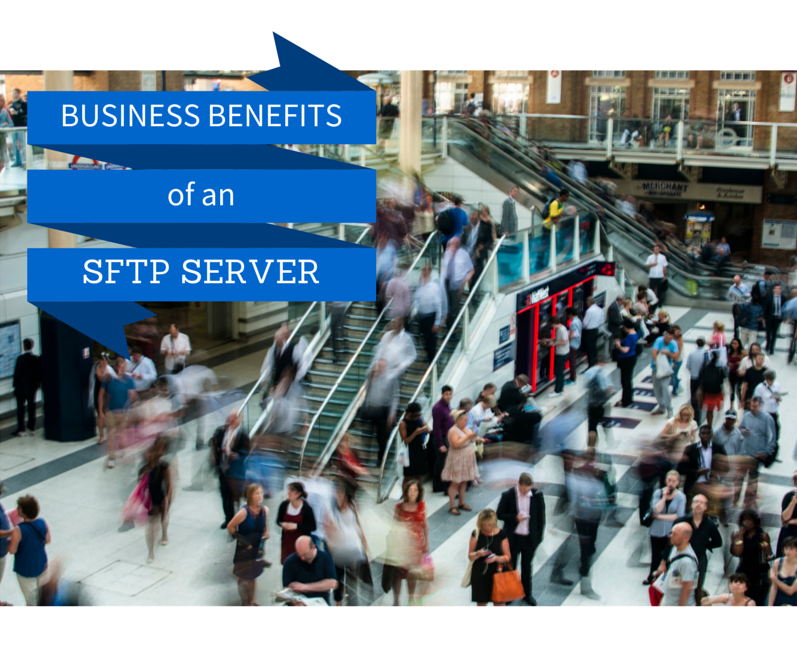 In this post, we examine the typical SFTP server and point out what kind of benefits you'll get from it as a method for delivering business critical data. 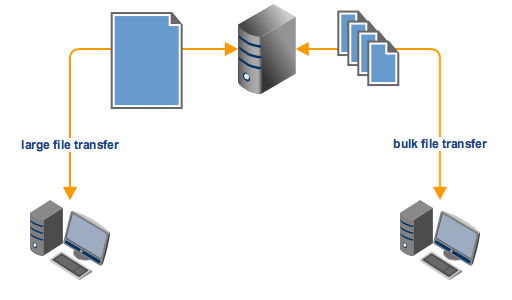 SFTP servers can easily support large file transfers as well as bulk file transfers, i.e., transferring multiple files in one go. Because of this, it saves time and, in this regard, is much better than other file transfer/sharing methods like email or cloud-based solutions. These capabilities will allow you to exchange documents, forms, and business-critical files quickly; keeping you on schedule and your customers, suppliers, and trading partners happy. Tip: If you want to automate your SFTP file transfers, use triggers. This will speed up your file exchanges a hundredfold, improve accuracy, eliminate human errors, and prepare your transported files for other processes. ✔ Encryption - for preventing unauthorized disclosures during transmission. Encryption scrambles the content of your files while in transit, making them indecipherable to anyone who might intercept them. ✔ public key authentication - for making sure the person logging into your server is not an impostor. This can be used in tandem with the usual username/password combination to provide what is known as 2-factor authentication, a very strong method of authenticating users. ✔ host authentication - for enabling clients to verify whether the server is actually the server they wanted to connect to. SFTP was designed to secure. So whenever you send sensitive files via SFTP, you and your trading partners can rest assured that the risk of any unauthorized disclosure or alteration during transmission has already been significantly minimized. 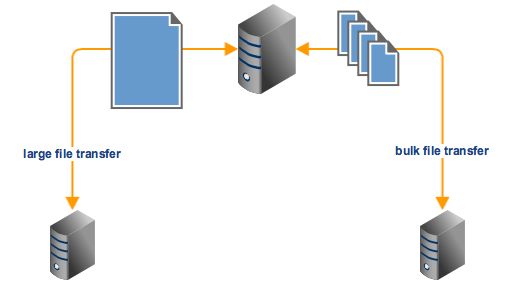 SFTP servers can provide secure file transfer services to both client applications and other SFTP servers alike. In other words, they can satisfy user-to-server and server-to-server use cases. By making data easily accessible, you can foster collaboration and increase productivity in your organization. If you want end users to access files on your SFTP server, you can install a SFTP client like AnyClient on their desktop or laptop. Then, assuming you connect your server to the Internet, your users would then be able to access your server from anywhere in the world. 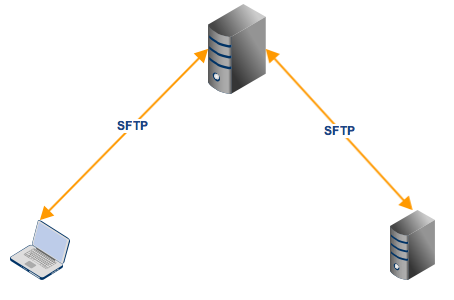 On the other hand, if you want your SFTP server to run on autopilot and automatically exchange files with another SFTP server, you can set up a server-to-server file transfer configuration. That way, it will be able to upload or download files on a pre-set schedule or in response to certain events. Laws like HIPAA, SOX, GLBA, EU Data Protection, PCI-DSS, and Australian Privacy Principles contain provisions that (implicitly or explicitly) require covered entities to implement secure file transfers. Failure to comply with security requirements can potentially result in costly penalties and, if the penalty involves breach notification, damage to reputation. Many of these laws provide safe harbor for certain security mechanisms like encryption. 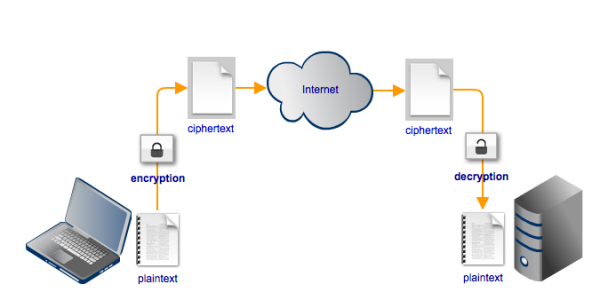 SFTP is built not only with encryption but also other security mechanisms that satisfy certain regulatory requirements. Some of those requirements can't be met by an SFTP server alone. However, if the SFTP service is provided over a managed file transfer server like JSCAPE MFT Server, you'll have a much better chance of meeting those requirements with just a single solution. Want to try out an SFTP server bundled with automation and a host of other features? Download the free evaluation edition of JSCAPE MFT Server now.